If you're looking for a four-legged friend, Pandora could be the perfect dog for you! Meet Pandora: She's waiting for a new home! Reach out to the SPCA Tampa Bay to meet her and more of its animals. LARGO, Fla. — If you're looking for a four-legged friend, Pandora could be the perfect dog for you! 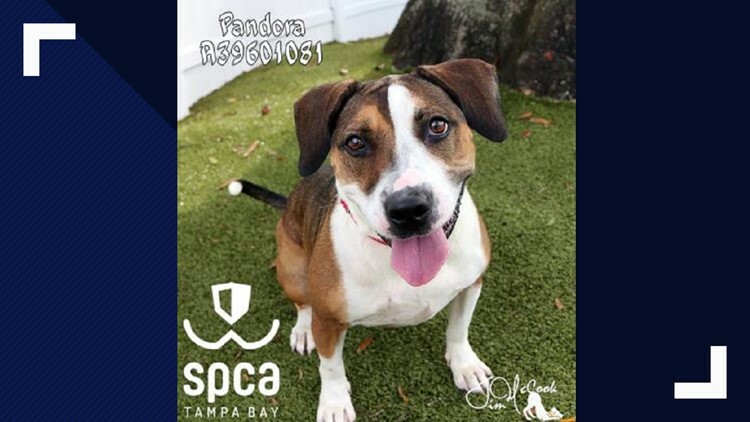 Pandora is a 3-year-old old mixed breed dog who has been in the good hands of the SPCA Tampa Bay for a few months now but is looking for her forever home. She has lots of energy, and would be thrilled to go to a home with a very active owner -- or someone with a big yard where she can run and play. If you would like to meet Pandora, or any of the animals they have at the SPCA Tampa Bay in Largo, you can find more information at spcatampabay.org.